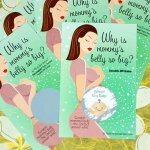 Having a Baby Clip Art and Baby Shower graphics - cute baby clipart and pregnancy graphics to design and craft shower invites, birth announcements, shower favors, nursery decorations and baby book pages. 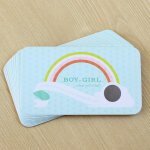 Girl baby clip art, boy baby clips, clip art of babies with Asian, black or Caucasian skin tones, TWINS clip art and storks, pink or blue rattles, pregnant mom graphics, sweet pregnant belly pictures, onesie baby shirts, Mister Moon, baby footprints, and baby toys clips. 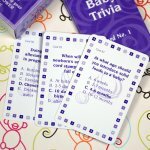 Printable Baby Shower Games by Print Games Now, plus personalized scratch tickets and bingo cards. 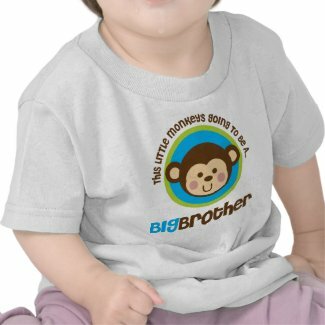 Baby Shower Fun Quiz-Boy or Girl: What Gender is the Baby-to-Be? One of the simplest and most endearing baby shower invitation designs is to use a simple baby footprint. Baby feet are so cute and the charm of a tiny footprint invitation is sure to be irrestistible to your guests and to the mom to be. Here are a few creative tops to use use in creating your own baby shower invitations with baby footprint designs. Find a nice baby footprint clip art like the ones on this page. It looks like a little hospital footprint stamp. You can choose a pink or blue footprint, or make an outlilne of the foot if you don't know baby's gender. 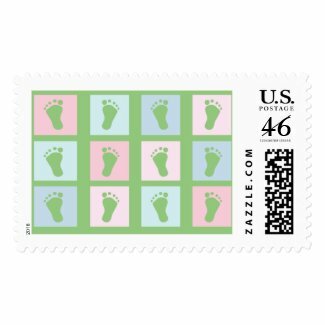 If you have a rubber stamp or digital stamp of a baby footprint you can use that for your design instead of clip art. Or, find a charming photo of a baby's foot to use for your shower art. One clever design idea is to make a border or design divider of baby footprints to outline the edges of the card, then write the details inside the baby footprint border. 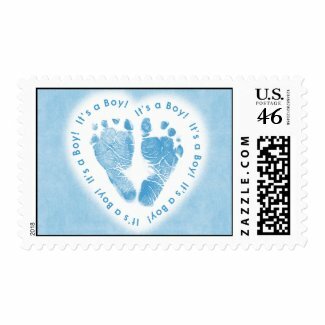 If you want to have a totally coordinated baby shower invitation design, get custom postage stamps printed with your footprint clip art design to match the invites. 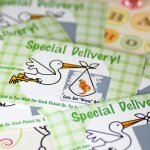 If you decide to make your own baby shower invitations you can start by printing out the basic design, then adding decorative details with rubber stamps, glitter, ribbons and embossing powders. One simple way to make a designer invitation is to print the border and some details on a flat card, leaving room for the baby footprint in one area of the card. Print out the footprint separately, then cut it out and attach it to the card with a small paper craft foam adhesive strip that lifts the footprint above the rest of the card ever so slightly. If you plan to embellish the card or footprint with glue or embossing powder you may want to do that before you attach the cutout to the card. If you want to really get into the spirit of tiny footprints for the baby shower, carry the baby footprint theme through the shower decorations and favors, name tags and even design a set of thank you notes for the mom- and dad-to-be with your sweet baby footprints. The more craftiness you put into the shower invitations the more help you might need to make and send them out. Get some friends or family members together to help assemble and address the invitations - you'll end up with a party before the party!